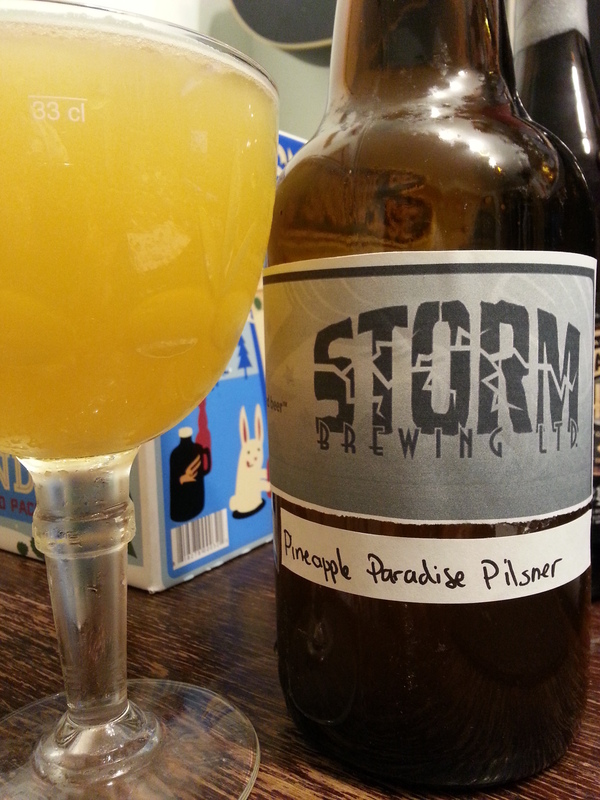 Pineapple Paradise Pilsner – Storm Brewing (Vancouver, Canada) | Justintoxicated. 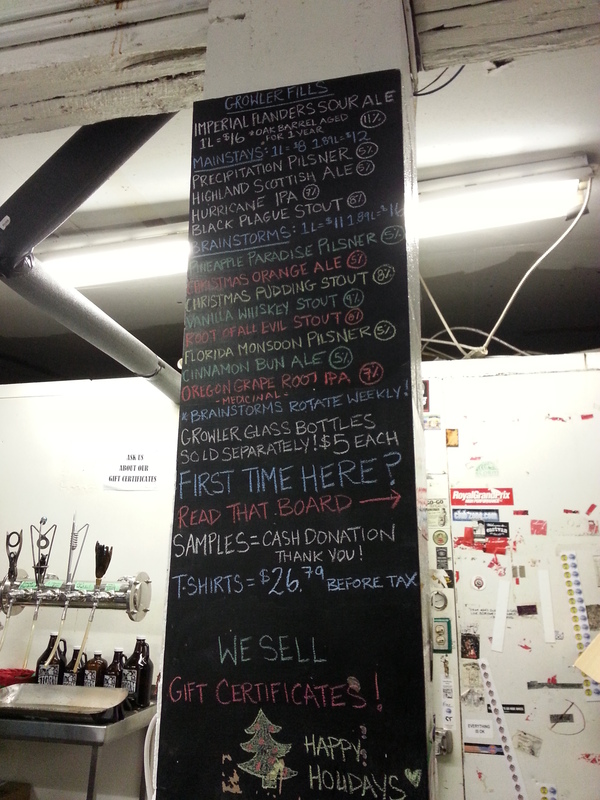 Visual: Pours bright cloudy golden yellow, barely any head (growler fill), lots of tiny slow steady streams. Finish: residual light malt sweetness mixed with fruity pineapple. Summary: Excellent nose, goes down okay but not a whole lot of complexity. It drinks like a Pineapple Stiegl Radler. It makes me feel bloated after sipping half a glass.